A massive public garden that will span the River Thames will sport a specially developed finish designed to keep the structure maintenance free for more than a century. London's Garden Bridge will be the world's most expensive footbridge because of the copper-nickel alloy coating that will protect it, civil engineers told BBC.com. Fortunately for planners, the coating maker is donating the system. The copper-nickel alloy (also called cupro-nickel), usually used for ship propellers and medical equipment, will cover the belly of the 366-meter (1,200-foot), £175 million (about $274.6 million USD) bridge over the River Thames. Mining company Glencore donated the funds for the copper-alloy nickel, said to be the most expensive aspect of the planned £175 million (about $274.6 million USD) Garden Bridge over River Thames. 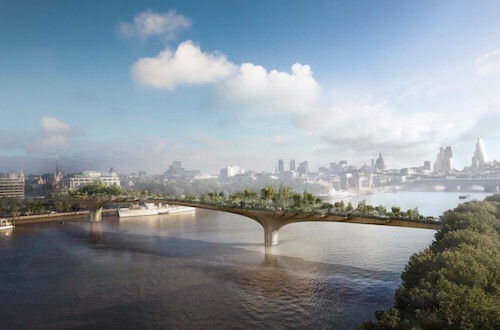 The project is being managed by the registered nonprofit Garden Bridge Trust and will largely be funded by donations from individuals, charitable foundations and companies. Additionally, the Treasury and Transport for London have each pledged £30 million (about $47 million USD) of public funds. Mining company Glencore donated the funds for the copper-nickel alloy, bringing the total pledged funds to £120 million ($184.5 million USD). The company called the material a "super-strength protective coating, able to withstand the effects of its river environment." The concrete piers will be coated in a thin layer of the material and roll-bonded to the structural steel. The coating, developed for its low maintenance and attractive finish, will run from the riverbed to the base of the balustrades on the bridge deck. It will take 240 tons of the material to coat the underside of the structure, forming a "corrosion protective skin to the carbon steel structure." The rust-resistant system is expected to last for 120 years without maintenance, the company said. "We are delighted to be part of making this innovative and iconic project a reality," said Tony Hayward, chairman of Glencore. "Our support will enable the Trust to introduce a unique material that will stand the test of time and help build on the rich cultural heritage of London's architecture and design." The bridge will be planted with shrubs, flowers, 270 trees, woodland and meandering walkways in a "ground-breaking design" that "will integrate a new kind of public space into the fabric of the city, adding to London’s rich and diverse horticultural heritage," according to the Trust. 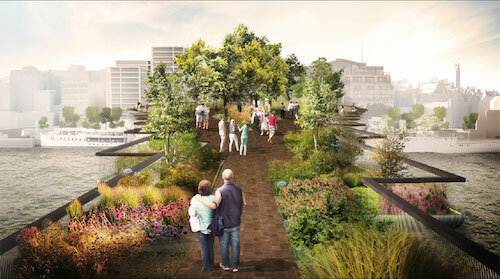 The project was sparked by a request by Transport for London to improve pedestrian links across the River Thames. TfL governs the transport system for Greater London, a 607-square-mile area with more than 8.1 million residents. Some citizens aren't pleased with the plans for the structure, noting that it will obstruct some views of St. Paul's Cathedral and other landmarks. The bridge was approved by the Westminster City Council and the Lambeth Council before receiving the blessing of Deputy Mayor for Planning Sir Edward Lister in December. "We have worked hard with both local authorities and the Garden Bridge Trust to ensure that the bridge is of the very highest standard of design while remaining fully accessible to those who work, live in and visit the city," Lister said. 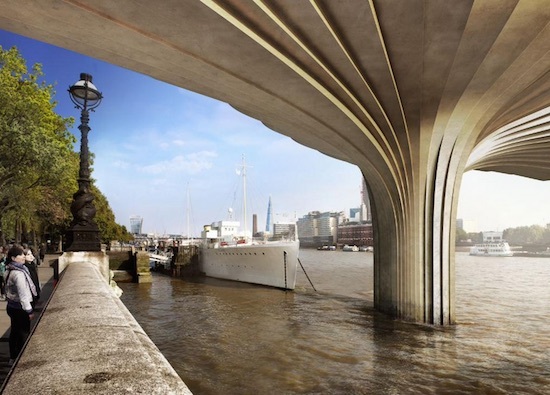 The Garden Bridge Trust has shortlisted civil engineering contractors BAM Nuttall, A Bouygues TP/Cimolai Venture and Dragados. The three companies are competing to complete the bridge's design and construction, and one will be appointed in late spring. Construction is slated to start in the fall, and the bridge should be open to the public in summer 2018. London Mayor Boris Johnson said the bridge would "provide a fantastic new landmark for London whilst supporting regeneration and economic growth on both sides of the Thames." "It will create a stunning oasis of tranquility in the heart of our city and boost our plans to encourage walking in the city," said Johnson. Mervyn Davis, chairman of the Garden Bridge Trust, expressed his pleasure with the coatings. "The copper-nickel skin is an integral part of the design and upkeep of the bridge and, just as important, is the stunning appearance that the warm color of the material will create," said Davies. Not everyone is as excited. Some Londoners aren't pleased with the plans for the structure, noting that it will obstruct some views of St. Paul's Cathedral and other beloved landmarks. The route will feature shrubs, flowers, 270 trees and meandering walkways in a "ground-breaking design" that "will integrate a new kind of public space into the fabric of the city," according to the Garden Bridge Trust. Critics have vowed an appeal to Communities Secretary Eric Pickles to "call in the application for a full public inquiry" or to initiate a judicial review of the City Council actions. According to Michael Ball, a local resident and former director of Waterloo Community Development Group, the borough of Lambeth unlawfully granted planning permission. Ball's lawyers said Lambeth failed to comply with its duty to protect the historic settings of listed buildings nearby, theguardian.com reported. The lawyers also contend that not enough consideration has been given to funding for long-term maintenance. 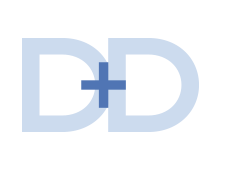 "This seems like a poorly thought-through project which, although attractive at first glance, on reflection is seriously deficient in a number of important respects," said attorney Richard Stein of the firm Leigh Day. "We are asking the court to quash the planning permission and to send the project back to Lambeth for much more careful consideration before such a significant change is made to the historic heart of London," Stein said. The Trust said it would be responsible for raising the £3.5 million (about $5.5 million USD) annually projected for future maintenance and operation. The Trust has also said it would work with local communities and stakeholders to address concerns and with planning authorities to ensure that all conditions are met. With about 0.5V difference between copper-nickel alloys and steel, they had better have a 100% perfect application of this skin to avoid galvanic corrosion (which would be largely hidden by the skin.) Not a single imperfect weld/overlap/join or random hole. If there is a small defect, you have a huge anode/cathode ratio. I have some doubts here... and the Brits have a LONG history of documenting galvanic corrosion after the fact, starting with the HMS Alarm report in 1763 (copper/Iron), up through Harrier jets in the Faulklands conflict (Magnesium/Stainless Steel.) Interestingly, the proposed galvanic couple here is pretty close to the HMS Alarm, though this bridge is likely to be ~0.1V worse of a galvanic couple (more voltage driving corrosion) - exact numbers depend on the specific alloys used. As a practising corrosion engineer for over 40 years I have to disagree with the above comments. Having written books on both galvanic corrosion and the corrosion of copper alloys and spent a lot of time sorting out marine corrosion problems I feel that I can say that copper-nickel cladding has been used very successfully by both the oil and gas and marine industries for over 25 years. The Morecambe Bay platform in the Irish Sea is a classic example. 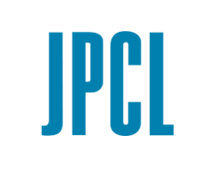 The technology for correctly applying cladding of Cu-Ni to steel is well understood and just requires a good technical specification and good supervision and testing during installation. Roger, I'm reasonably certain the Morecambe Bay platform is using cathodic protection in conjunction with the cladding. Proper cathodic protection will prevent dissimilar metal corrosion. There is no mention of CP for this bridge. 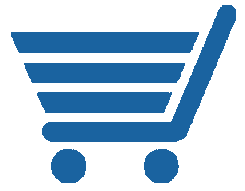 Without CP, you need that 100% perfect application, and you had darn well better have that really good specification, supervision, inspection and testing.